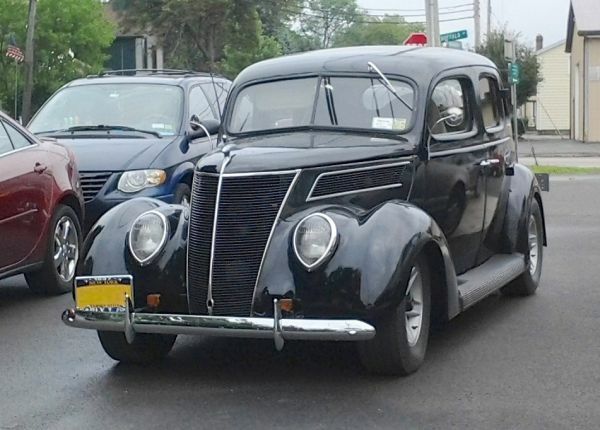 I’m always happy to find a car that’s older than I am, like this 1937 Ford Fordor. This example, seen over the summer in Sanborn, is painted in Henry Ford’s favorite car color — black. And it just happens to be one of my favorites from the Thirties — love the grille, and the headlight shape was pretty unique. Jim Corbran, RRofWNY …and check out our Facebook page: Non-American Classic Cars The post RealRides Of WNY appeared first on Buffalo Cars.